Have a story to share? Home Politics BREAKING NEWS: Rochas Okorocha Declared Winner Of Imo West Senatorial Election As Returning Officer Says He Was Forced To Announce Results By Supporters Of Mr. Okorocha. BREAKING NEWS: Rochas Okorocha Declared Winner Of Imo West Senatorial Election As Returning Officer Says He Was Forced To Announce Results By Supporters Of Mr. Okorocha. The Governor of Imo State, Owelle Rochas Okorocha has been declared winner of the Imo West Senatorial District election against his closest rival, Osita Izunaso. The electoral officer, Professor I.I Ibeabuchi however said he was forced to declare the results. It would be recalled that an earlier situation report had it that the same Mr. Ibeabuchi has stopped the collation of result after announcing nine out of the 12 local governments in the district, saying he had been directed to return to Owerri, the state capital. He was however held up at the centre by supporters of the governor who forced him to complete the announcement. How NTA’s “Cyril Stober” Cheated On His Former Wife, “Efunseke Merriman Johnson” With Same “Elizabeth Banu” That Led To The Crash Of His First Marriage. 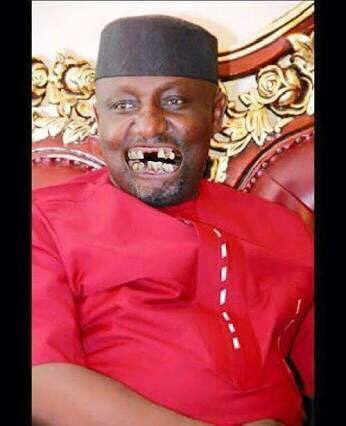 Rochas Okorocha Plans To Replace His "SON-IN-LAW" Uche Nwosu With His Ally, Chike Okafor. BOMBSHELL: Your Hatred For My Father Shall Kill You – Abacha’s Daughter, Gumsu Slams Wole Soyinka. VIDEOS: WHEN A MAN HAS NO CONTROL OF HIS MOUTH, he talks anyhow. Joy Nwakaego Nwanna: THE FACE OF A BLACKMAILER WITH MULTIPLE PERSONALITIES?